Family traditions help you nurture amazing connections with your kids. They strengthen family bonds, build memories, and foster a feeling of belonging. Discover how easy it is to create them. My family has a bizarre family tradition that started when I was a teenager. One evening at supper my youngest brother made the mistake of saying, “I don’t want this….” Immediately his three older siblings swooped in on the plate and emptied it. My brother was quite a bit younger than the rest of us. 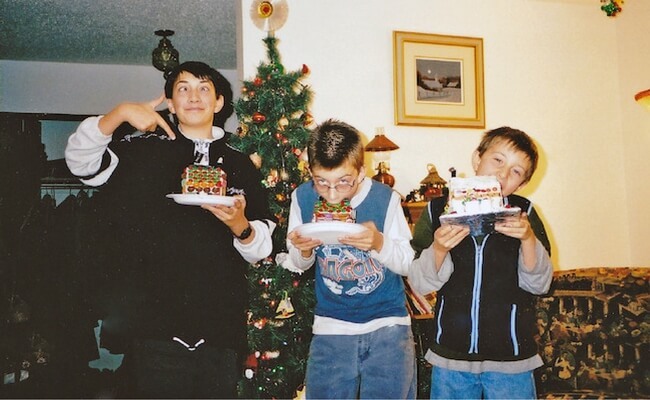 We were ravenous teenagers and would eat anything going! It was at that moment that our family tradition of GAMES was created. When there aren’t sufficient leftovers for everyone to have seconds it is time for games. The players position themselves around the table forks at the ready. The leftovers are placed in the middle of the table and there is complete bedlam as everyone tries to spear the food. There are no rules, although jabbing someone in the eye would be frowned upon! Did I mention it was bizarre? Somehow this tradition has become a part of our family culture. All someone has to do is mention the word GAMES and family members immediately exchange mischievous looks. It is an absurd piece of fun that has followed us from adolescence. It is a tradition, built on shared memories, that binds us as a family and connects us with each other. While this practice might horrify some, it is ours, and it is special. That is the beauty of family traditions isn’t it? Those small rituals that create closeness, build memories, and foster a feeling of belonging. Sometimes they are passed down from one generation to another and other times they develop quite spontaneously. One year our family purchased a summer pass to a water park. The boys would enter the park through the men’s changing room and I would go to the ladies. I have no idea why or how this came about, but it was just something we did every-single-time. It was a ritual just between the two of us that provided a quick moment of connection. Sitting down and reading to your child every night. Sharing a snack with your kids when they come home from school. Traditions will bind you together and provide a deep sense of security for your children. You probably already have a number of traditions in place and if you do I would love to hear about them. Still I would encourage you to look for opportunities to include a few more in your family life. Make it part of your family culture. Keep it simple, so it doesn’t become too hard and you are more likely to keep it going. Keep it inexpensive, so it doesn’t become a financial burden. Make it fun, so that everyone looks forward to it. Turn off your technology, so that you are truly engaged. Be open to spontaneous ideas that have the potential to become traditions. My friend Kendra just published a lovely post about a new family tradition she created to celebrate the first snow forecast. What a great idea! Remember there are no rules and there is no right or wrong way to do this (my family’s strange meal time tradition is proof of this). So let’s get creative and make it happen! Here are a few suggestions. Have a movie or games night. Explore your family’s ethnic background through food, stories, and learning words or phrases from your ancestral language. Go on family walks after supper or on the weekend. Enjoy family prayers or meditation. Engage in a simple act of kindness each month. Here’s some for Halloween and another set for Thanksgiving. Choose a morning on the weekend to hang out in your pajamas and drink hot chocolate. Celebrate the weekend by serving a special meal (keep it simple) on Friday. Take advantage of holidays to create special traditions. Every December our boys lit candles on an Advent wreath, made gingerbread houses, and sat under the Christmas tree to read stories. For more inspiration check out this list of 60 suggestions at The Art of Manliness . I would love to hear from you. What family traditions were part of your childhood? 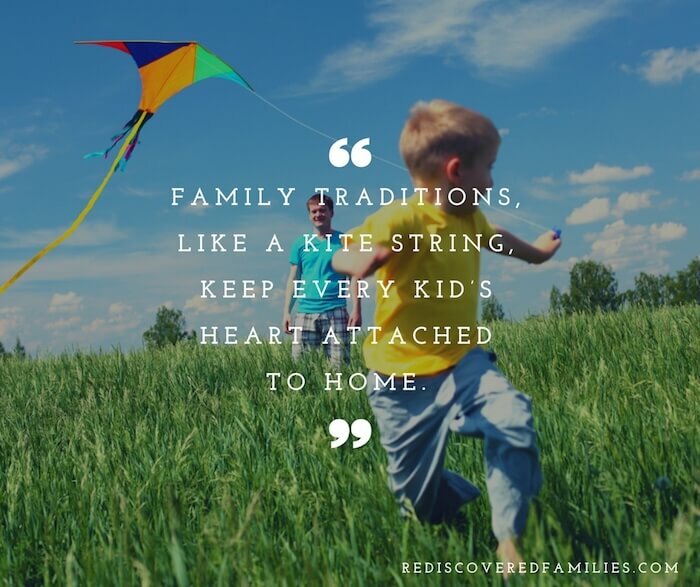 Which traditions have you incorporated into your own family? What new traditions have you created? I love these ideas- I love these little things too. They add sparkle to our homes and families. Every Thanksgiving evening our family watches “Christmas Vacation” it’s our little intro to the Christmas season. That is such a great idea! Our must see Christmas movie is The Muppet’s Christmas Carol it still makes my boys laugh! Love your post! I love to emphasise the changing of seasons with traditions and I also love to keep some of my childhood’s traditions alive. My daughter now has the Advent calendar that was made by my mum for my brother and myself and I love to get it ready for 1st December. My husband and I started some new traditions on our own, we always have a big afternoon tea on the 1st Advent to catch up with friends and family before the stress of Christmas starts and we have more or less set menus for the 24th and 25th December. But also “only” saying the same words before starting to eat is a cherished tradition in our home. Daniela recently posted…Give away: online yoga membership! Thanks for sharing on Family Fridays Link Up Party! I love having family traditions, especially at christmas. 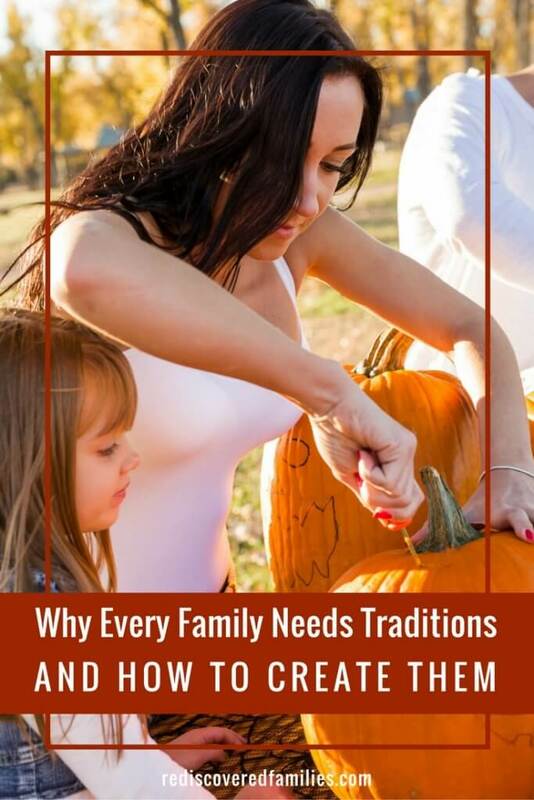 I loved reading about these traditions! It is amazing how every family has their own quirky things. Thank you so much for sharing. 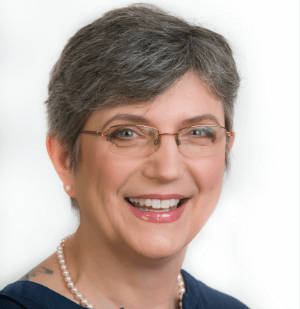 Sara (@mumturnedmom) recently posted…Let’s bounce! We do Pizza too! such a simple way to celebrate the end of the week! Lovely post. Oh, and I do love that kite string quote – gorgeous. And what a fun tradition for you and your family! I think you’re absolutely right, and I have traditions with my family (as in mum and brother), and then we are forming traditions now with my husband and children. They are so lovely to have and look back on. I really liked the kite string quote too. Writing this post helped me realize how much I value the traditions in my life. They really help make strong family connections. It is fun! Thanks so much for stopping by. Thank you for sharing this brilliant post on We Love Weekends recently. I love our family traditions and Peakles and I like to hear about what other families do the same or differently. Your post has been highlighted this week on Peakle Pie We Love Weekends and we would love you to share more posts with us soon. Thanks again!